Home» AP LATEST UPDATES » AP Teachers Month Wise Ehazar report use of Employee Id. AP Teachers Month Wise Ehazar report use of Employee Id. AP Teacher month wise Ehazar Report by use of Treasury ID/Employees ID, AP Teachers Ehazar month wise report and year wise report downoad at official site http://www.cse.ap.gov.in/AP Teachers online Biometric attendance Ehazar Report month wise Ehazar report Downoad. Step by Step Process Download for month wise Ehazar report. 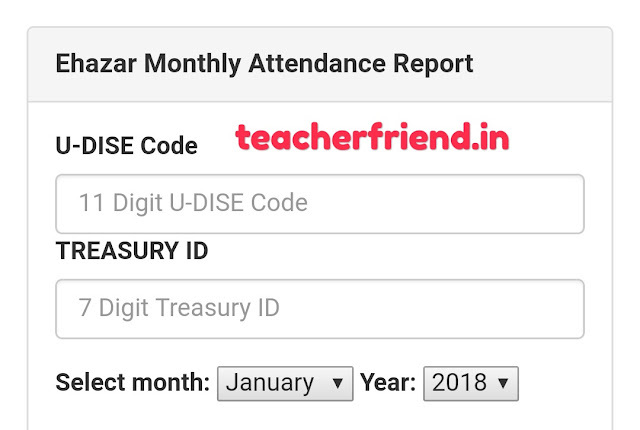 Select school Ehazar system report and enter School UDise Code and Treasury ID Number and then select month and year and then download month wise Ehazar report. Get Download Teachers Month Wise Ehazar report direct link Click Here.